Man of Steel is one of the most important movies I have ever watched as a fan of cinema and comic book franchises in particular because it taught me a valuable lesson about perception and preconceived notions. It’s a lesson that I think a lot of people have learned and many others are still struggling mightily to learn, if they ever do. I didn’t read Superman comics as a kid very much because I was a huge Batman fan and because my introduction to everything DC was through the movies and TV shows, not the comics. So, my introduction to Superman was Christopher Reeve in his series of movies, which is one of the reasons that I still enjoy them and Superman Returns to this day. I liked the concept of that story and how the character was treated because I grew up with it and it was my model for years. When I first saw Man of Steel, I liked it but not as much as I wanted to on the first viewing. I wasn’t blown away by it, despite how impressive it looked on screen and it absolutely did from top to bottom. Something was just missing for me that first time and funny enough, it took my other half Shonda to point it out to me. She didn’t grow up with the Superman movies or the comics, but knew the character very well as arguably the most popular superhero in the world. She loved Man of Steel right from the beginning and part of the reason was because she had no prior expectations set from the Reeve movies, because she hadn’t seen them. She went into that first viewing fresh and clean and judged the movie on its own merits as it should have been, but many of us couldn’t do that because of what we grew up with. Shonda told me later to watch it a second time, which I did. It was better. Like, not just a little better but markedly better than the first watch. What changed? The movie didn’t in any shape or form because this was well before the existence of the DC Extended Universe as a franchise let alone extended or ultimate editions of its movies. So, what was different? It was me. I was different. Or rather, my perception of the movie was different. After having seen it once, I knew what to expect and it wasn’t going to be anything like the Reeve movies that I grew up with, which truly is something I should have known from the beginning, but it just didn’t process for me going into the theater that first time. I was being unfair to the movie on a subconscious level and didn’t even know it until Shonda helped me figure it out, so the second time was a much better viewing. The third time was even better than the second time. The fourth time was better than any of them. By the fifth or sixth time, I was astonished that this movie kept improving on each watch because of new things I would catch that went completely past me the first few times, like the non-linear structure of the flashbacks that are quite linear based on Clark’s character arc, or Amir Mokri’s incredible cinematography, or the brilliance of Michael Shannon’s General Zod, who in my opinion is the gold standard for comic book movie villains and how they should be written. Hans Zimmer’s sublime original score, the phenomenal VFX work that manages to blend the elements of the real world with that of a comic book fantastical nature, and the great cast starting with Henry Cavill and Amy Adams and going right along to Shannon, Antje Traue, Russell Crowe, Diane Lane, Harry Lennix, Richard Schiff, Christopher Meloni, Laurence Fishburne, Ayelet Zurer and Kevin Costner, as well as all the great supporting roles in addition. More than anything though about Man of Steel that is most important to me is that it made Superman “real” in a way that had never been done before on screen. The Reeve movies were inherently fantastical despite the idea that Richard Donner made New York into Metropolis. It was still a very light, superficial and magical world that you knew didn’t exist but you’d like to live in it despite the dangers that Superman and the world faced on a regular basis. He was an almost perfect hero for mankind and truly symbolized “truth, justice and the American way.” Therefore I heard so many people before Man of Steel came out say that they weren’t that interested in seeing “another cheesy Superman movie where he’s too perfect and unrelatable to the audience.” Seriously, this was said to me multiple times back then and probably flatly denied by so many people now in all too common hypocritical fashion. 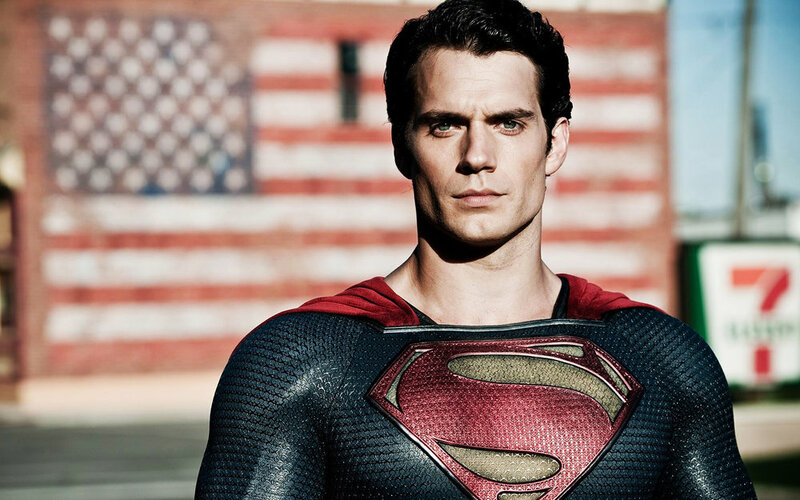 Man of Steel made Superman imperfect and “human” because despite the fact that he is an alien immigrant with incredible abilities, he was raised in Kansas by human farmers that gave him a very human, midwestern upbringing with human values of right and wrong and compassion. We not only got to see where Clark Kent got “truth, justice and the American way,” from, but also how he grew into it. We saw him struggle with his abilities as a child, a teenager and an adult and it was in a way that was completely believable if the same thing had happened to any one of us. For the first time on screen, Superman really was “one of us” and it added a dimension to his character that pierced the veil of perfection and magic and made him a hero that we could root for because he knows what it’s like to live as a human, at least in principle and mindset. That’s what truly makes him a great hero, not his powers but the responsibility of knowing when and how to use them, even if it means learning from your mistakes in the process, which is ultimately human. There are a lot of people that don’t accept this version of Superman because they don’t want that veil of perfection and magic pierced in any form for them. They want to always know Superman as the magical hero that saves cats out of trees and is a shining example to humanity through his heroism instead of his humanity. Dealing with the humanity of any larger than life character is scary for many people because it can get too real and too close to their own lives and they would rather have the escapism to get away from all of that. I understand why people who don’t like it feel that way, but to me and many others, it’s vitally important that a “real” story of Superman be told because that’s where the deeper meaning of his character can be explored as it relates to humanity itself. Man of Steel does that in so many ways, making it arguably the best comic book origin movie ever made and despite all of the horrifically unfair treatment Zack Snyder has received as a result of making the movie, it still remains one of his greatest cinematic achievements and cements him as a true auteur, whether you like his take on it or not. Man of Steel is one of the greatest comic book movies ever made, and without question the greatest Superman movie ever made in my opinion, and I don’t see that changing even when they get around to making the next Superman solo film, or even when years from now another actor takes the mantle and keeps the character alive and relevant in the cinema for another several decades.